"Nanotechnology offers unprecedented possibilities for progress—defeating poverty, starvation, and disease, opening up outer space, and expanding human capacities. But it also brings unprecedented risks—the specter of devastating wars fought with far more powerful weapons of mass destruction." - Chris Phoenix, Director of Research, Center for Responsible Nanotechnology. When you step into one of the games in the Crysis series, you step into something called a "Nanosuit." It makes you a stronger, better soldier. The Nanosuit is supposedly made up of a material called CryFibril, also referred in the game as Nanoweave or Nanofiber. CryFibril is the single most important component of the suit, as it is the medium for the various Nanosuit functions. In Crysis 2, the CryFibril got a major overhaul, making the Nanosuit lighter, stronger and more energy efficient. Someone at Crytek must have been doing their homework because CryFibril looks suspiciously like a recent real-world breakthrough in nanomaterial technology. Medical and military scientists alike claim that nanotechnology will transform the future as we know it. With the global proliferation of nanoscale technologies, from the research bench to the consumer market, it is both inevitable and fast-approaching. The question remains though, what will the future landscape look like? The answer really depends on who you ask. My previous article about nanotechnology in video games—specifically, the Metal Gear series—took a glimpse at how nanotechnology could completely revolutionize the future of warfare. Using some not-so-far-fetched science, soldiers and machines can be integrated into a massive command-and-control network with the help of computers, epidermal electronic sensors and wireless communication systems. The central combat environment would provide detailed battlefield information and control to commanders in real time, in what Colin Milburn (nano culture researcher), dubbed the "Digital Battlefield". Or maybe more appropriately: War—the video game. Does the suit make the man, or does the man make the suit? 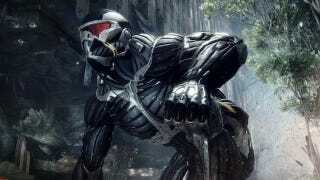 Crysis 3 is the newest installment in the Crysis series. For the unfamiliar, Crysis 3 is set in the near future (2047ish) and follows the adventures of Alcatraz Prophet, a soldier equipped with a nanotechnology-inspired battle suit, aptly named the Nanosuit. Prophet must protect the human race from complete extinction from the Charybdis, a race of technologically-advanced aliens that are dead-set on our destruction. The Nanosuit comes fully-fitted with three primary combat modes: Armour, Power and Stealth. These modes allow Prophet to battle the Charybdis with superhuman abilities. Let's take a peek behind the curtain and delve into the science of the CryNet Nanosuit. CryFibril—fabric of the future or is it already here? Graphene (pictured above) is a one-atom thick sheet of carbon arranged in a repeating hexane pattern that has some really amazing mechanical properties. It might not look like much, but the discovery of graphene in 2004 was a big deal. In fact, the researchers were awarded the Nobel Prize just 6 years later, which is almost unheard of. So what's so special about this graphene stuff anyways? Well in short, graphene is one the strongest materials ever manufactured. It has a breaking strength 100 times greater than steel and weighs thousands of times less (10,194 times less to be exact). Graphene can be rolled up into tubes, called carbon nanotubes, which are even stronger than graphene sheets. Carbon nanotubes can then be spun together and woven into fibers which are much more flexible and useful as engineering materials, making them the ideal fabric for the Nanosuit. If you can believe it, carbon nanotubes are even harder than diamond. So it comes as no surprise that research is already underway towards developing carbon nanotube composite body armour for police and military applications as well as building an elevator to space, just to name a few ideas. Graphene can be rolled up into a tube just like a sheet of paper and spun into super strong carbon nanofibers, the perfect material for an armoured Nanosuit. In a pinch, Prophet can divert power to the CryFibril Nano suit armour to temporarily increase protection from incoming high-speed objects, blunt trauma and energy blasts. This process, called Armour Mode, supposedly tightens up the suit's outer weave, which decreases the suit's power upon impact, rather than valuable health. Interestingly, there is a real world nanomaterial counterpart currently under development called D30 gel. This protective nanogel is a dilatant non-Newtonian fluid, which is a very fancy way of saying it is flexible when moving slowly, but rigidifies upon impact, before quickly returning to its flexible state again. These types of materials behave very strangely. Check it out on YouTube, you won't regret it. Studies have down that D30 gel can absorb much of the energy from a shock or impact, greatly reducing the damage to the wearer. It is already in use in protective sports equipment and is coming soon to a battlefield near you. When Prophet needs to quickly sprint across the battlefield, leap to cover on top of a Pinger or toss a wrecked car at a pesky group of Ceph, Power Mode is the way to go. Power Mode uses up Nanosuit energy for as long as it is active and grants the player superhuman strength. How can we rationalize this with some real world science? Well, we could talk about a powered exoskeleton like the Raytheon XOS. This would fit the bill in terms of Power Mode functionally but it is hardly a nanoscale technology. No, we need to go smaller, much smaller. An international team of researchers lead by Ray Baughman at the University of Texas have come up with a nano-sized alternative. They have developed an artificial nano fiber muscle. These nano fibers are made up of ropes of carbon nanotubes which are twisted together into thicker yarns and set into paraffin wax. The bundles of nano fibers can contract rapidly when exposed to heat or electricity, up to 200 times stronger than human muscle. The manufacturing process will have to be improved to weave larger fabrics, like our trusty Nanosuit, but the basic premise checks out. Ropes of carbon nanotubes can be spun into thicker yarns forming high strength artificial muscles. Is there an annoying Ceph patrol up ahead guarding the objective? Need to sneak by a sentry and avoid being detected? No problem. Disappear from sight with Stealth Mode. This Nanosuit ability also drains power but makes the wearer invisible. The suit's surface can dynamically scan the surrounding area and modify its skin colour to match in real time. This is the principle behind active camouflage. 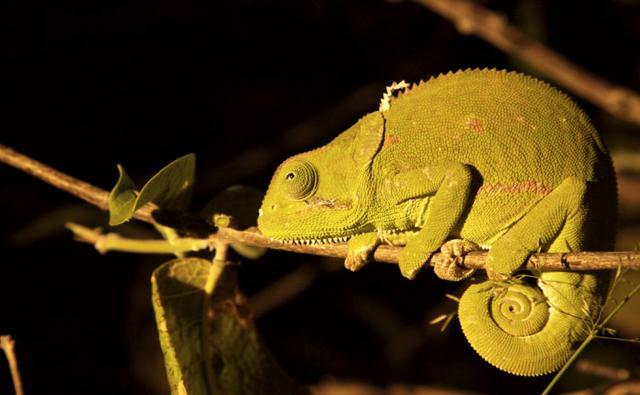 Animals like the octopus, chameleon and sea horse have already figured it out. Humans, on the other hand, are still working on it. One of the first experimental active camouflage prototypes came out of the lab of Susumu Tachi from University of Tokyo in 2003. They developed a camouflage system in which a video camera captures the background behind an object and displays it on a cloth in front using an external projector. It didn't really work very well, but it inspired others to try and make their own cloaking machines. There are several new approaches currently under development using metamaterials which can actually bend light around an object. This technology only works for extremely small objects, so what about our Nanosuit? Researchers from Sandia National Laboratories (a subsidiary of Lockheed Martin) have been working on a dramatically different strategy since 2009. The principle is to fabricate a material with differently-coloured lights attached to motors, which are embedded at the surface. These lights can be rotated and turned on and off dynamically to match the colour of the surroundings. Sounds pretty straightforward right? Well it is, until you scale it down to the molecular level. Their motors are not electric; they are protein motors which run on tiny microtube rails. Their lights don't have bulbs. They are made up of quantum dot nano crystals. Quantum dots are highly fluorescent nanoscale metal semiconductors which can absorb and emit light of different wavelengths (colours). They are commonly used in nanomedicine as imaging and diagnostic tools due to their small size and favourable optical properties. Now imagine millions of quantum dots that are differently coloured (red, green, blue) all moving around in controlled patterns at the surface of the Nanosuit. By controlling the intensity and position of these quantum dots, and with the proper video input to capture the surrounding environment, you could get very energy-efficient cloaking. While this technology is clearly in the early stages of development, it is an interesting possibility and one to consider for the Nanosuit. It is a wild, wild world down at the nanoscale, and scientists are just beginning to scratch the surface. Whether in our socks and sunscreen, or on the dystopian battlefields of the future, it won't be long before products made with nano technology are an inescapable part of our everyday life. I tip my hat at Crytek for coming up with an extremely cool (and more-or-less plausible) science-inspired Nanosuit. No offence to Alcatraz, I think it is pretty clear that in this case, the suit makes the man. Kevin Neibert is nanotechnology researcher at McGill University and Science Media Consultant at Thwacke! Consulting. Follow him @ThwackeMontreal and like us on Facebook.